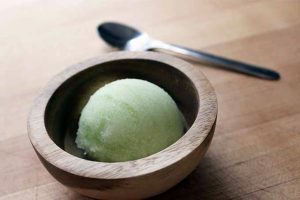 These days soy is a buzzword, it seems that anything containing soy protein is deemed healthy and that as self-respecting consumers, we should buy all we can. After all, it’s healthy, right? I do not mean to downplay the undeniable health benefits of soy, but to highlight a little known fact about them. Soy contains compounds called phytoestrogens. These are classified as non-steroidal compounds whose molecular structure is similar enough to estriadol, the major estrogen steroid in humans, that it can mimic the effect of estrogen hormones. This fact should be of particular importance to women following a vegetarian or vegan diet where it is easy to rely on soy as the main provider of protein. 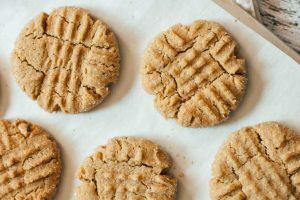 Ready made soy products including tofu, soy milk, soy cheese, soy yogurt, and various baked goods make it easy to ingest large amounts of phytoestrogens without knowing about it. 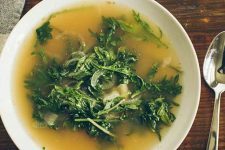 This can have ill effects on women who may already be dealing with hormonal imbalances such as those caused by polycystic ovary syndrome as the body will interpret the surge of phytoestrogens as an overabundance of human estrogens. This of course is all dependent on the person, amount of soy consumed, and the environment. Soy still remains a healthy option when eaten in moderation. This is why alternatives to soy protein are so important to know about. Lentils are available in many different colors and cooking is a snap – no presoak needed. Lentils, like soy, are a legume. You may have seen them in small bags in your grocery store near the dried beans. They come in a variety of colors from orange to green to brown and all have a satisfying, nutty taste. Unlike most dried beans, lentils do not have to soak before cooking, making them a quick fix for a weeknight dinner. Simply add one part lentils to 3 parts boiling water and cook to the desired consistency. Moroccan Lamb, Veggie, and Lentil Stew. Photo by Mike Quinn. 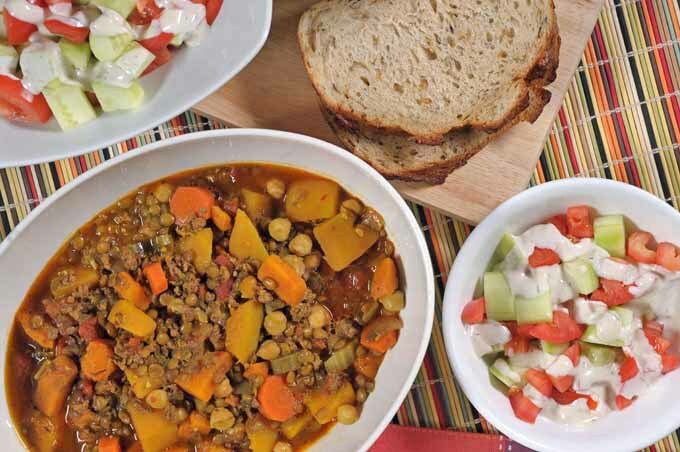 Moroccan Lamb, Veggie, and Lentil Stew – Get the Recipe NowLentils cooked for less time retain their disc-like shape and are great in salads or hearty soups. 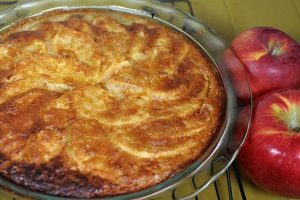 Cooked longer, they will absorb more water and become soft and thick. Different varieties will cook differently; the red and orange varieties will cook down into a thick paste after twenty minutes or so in a covered pan, the brown and green varieties will retain their shape and simply become soft. As you can see, the brown variety retains its shape even after being simmered for a while. 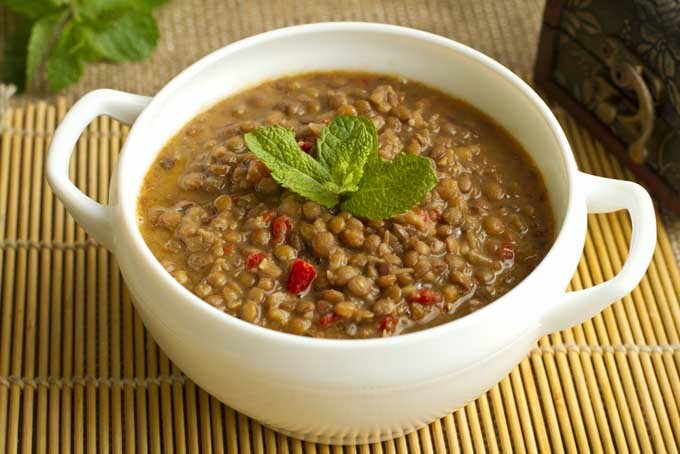 The great thing about lentils is two-fold in that they are nutritional powerhouses and extremely flexible in cooking. One quarter cup of dried lentils provides between 70 and 150 calories along with 10 grams of protein and a whopping 11 grams of fiber. As for flexibility, because they absorb so much water in the cooking process they can be flavored any way you like right there in the pot. 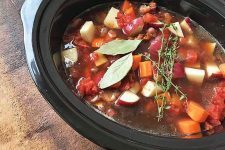 Try using chicken or vegetable stock with various herbs and spices, curry, or even tomato-based sauces. It is extremely difficult to ruin your lentils. 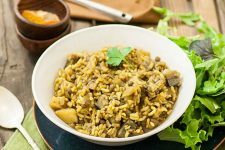 Check out our Argentine Lentil Stew or our turmeric red lentil stew, which are quick and adaptable to suit your tastes. 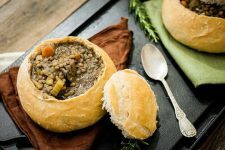 And our hearty vegetarian shepherd’s pie and lentil and mushroom soup served in bread bowls are other great additions to your stock of lentil-based recipes. Another reason for the popularity of these legumes around the world is their affordability. A one pound bag of brown lentils off the shelf typically costs less than $1.50. While the economy is down the drain we tend to reach for comforting, cheap foods. Unfortunately these meals tend to come in colorful boxes and laced with fat and preservatives. Why not try out a healthy dinner and start experimenting with some good-for-you lentils? Thanks so much Lynn for sharing the lessons on phytoestrogens. It is valuable information that we should always share. A few years back, I suffered with fibroid tumors and learned all about it. I was able to shrink my fibroids and I improved my diet along the way! I love lentils cooked with carrots, onions and celery. I also make lentil burgers, where I soak the lentils overnight, then blend them with seasonings, mix with oil and breadcrumbs and this makes some delicious, hearty burgers. It is great to eat nutritiously and enjoy it so much! 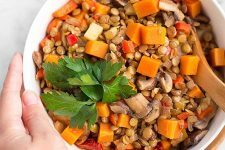 Lentils were a staple part of my diet at college – I couldn’t afford much else! I especially like bean soup or stew with some fresh crusty bread. I’ve yet to try a legume based burger though and would love to see a recipe for them here at some point! It’s not necessarily a bad thing, since lentils are really tasty too if prepared right. My favorite food is made with lentils. 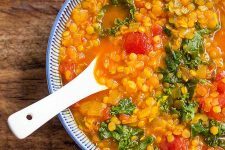 Lentil soup with tomato in it is very good and also healthy. I’m a vegetarian and so I eat a lot of soy. Kind of concerning to hear about the negative side of eating to much soy. I think I will consider lentils as an alternative more. I don’t like the way they taste without any seasoning though, so I think I might look for some indian dal recipes :). I never really liked lentils until someone made me a tomato and lentil soup as I was the only vegetarian on a group holiday and everyone was envious of my soup as it was excellent. It was tasty and nutritious and also helped keep me regular, as it was so high in fiber. I’m not great at using lentils in my cooking, but I do like adding some of the red ones in soup and also in burgers or in a classic loaf with soya mince. Mix the two together for a high fiber and protein dish. Lentils have a cleansing effect on the bowels. I’d know, since I feel much better in the loo after eating some dhal. I would like to find out, though, how would different kinds of lentils have different effects for the health? This may encourage people to have a variety of lentils and may make for a more flavorful experience, don’t you think? I’m not sure if the different varieties have many differences when it comes to nutrition. However, for taste I generally mix the brown and greens together (just in case they have different micro-nutrients) as I like most of my lentils to remain whole. I’ll also and some red ones that I use to thicken up the soup. I do cook mine with lean pork so there is no lack of flavoring. I also use copious amounts of onion, onion powder, fresh crushed garlic or powder, bay, and lots of freshly ground black pepper. That sounds delicious! I’ve never heard of anyone mixing the different colors/types of lentils together. When my friend would make it she tends to just stick with one type of lentil. She claims that the other lentils cook differently and will make the taste go in a complete different direction. I don’t know anything about lentils in general so I just believed her, but it seems like she may be wrong! Do you ever add any ethnic spices such as tumeric to your recipe? Or curry powder to make a curry-copy-cat? Lentils are definitely underrated so I’m glad you are promoting them. I had never eaten them much until I visited India, and now I’m a huge fan. They’re cheap and lend themselves well to so many other flavors. People should definitely give them a go. This is a very good recommendation, they’re cheap to buy and easy to cook. If I were in a cash-strapped situation, lentils would definitely be one of my first choices for its nutritional value and low expense. I’ve yet to give them a try as a protein replacement, such as in burgers but it’s definitely something I’m looking at in the future, considering all my vegetarian friends! Lentils are great! I love that they don’t need to be soaked and are so versatile. Regarding your article however– they are a good source of protein, but not of complete protein (as opposed to soy, which is a complete protein). Bread rounds it off quite well, though, and so does rice, for instance! Where I live though, 500g of lentils sells for a few euros (anywhere between 1.70 and 3 euros, really). Wish we could have it as cheap as you seem to have it! My friend lived in India for a good chunk of her life and she would often use lentils in her cooking. I honestly wish I could’ve gotten her recipe from her because whatever she did to the lentils were so delicious! 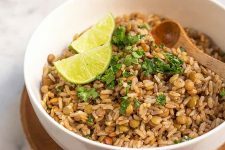 What spices do you recommend for lentils, if any? I know most Indian-based spices are good but are there any other ones that you like to try? Lentils are a very underrated asset to the kitchen cupboards of any coo, no just vegetarian or vegan ones. They offer many ways to add to the taste and nutritious value of meal very quickly and very easily. I have recently purchased a cook book that is solely about using lentils in meals and it has been a great eye opener adding to my ever expanding spice rack and weighing my shelves down with all sorts of new products from around the world. It is great fun to dip in and out of it picking a recipe at random. I never fail to find a new pulse that I have never heard of! 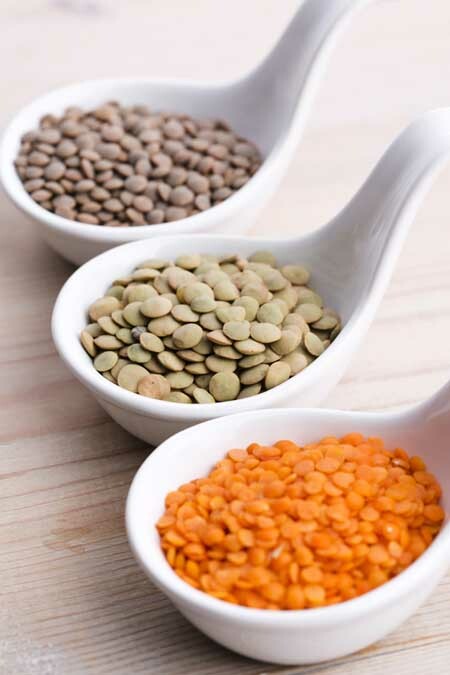 Variety is the key to life, and pulses offer plenty of variety. I’ve always loved beans and legumes, but am fairly new to lentils. 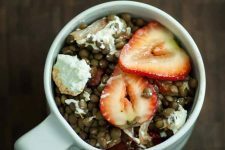 I have a new found appreciation for foods that are quick and easy to prepare, and lentils certainly qualify. I’ve only seen/eaten the brown lentils, and wasn’t even aware of that red and orange varieties. I will have to look for them next time I go shopping, as I’m interested to see if they have a different taste, since that may affect the seasonings and accompaniments I would use. I have concerns about the estrogen issue, and Lori’s recipe looks delicious, and I can’t wait to try it. I have a soy sensitivity myself, so I try to avoid it as much as possible. Which is difficult when soy lecithin shows up in everything. Fortunately I love lentils, I always try to keep a bag of dried lentils on hand. They’re so convenient, and it’s great to know they’re a good protein source. I’m fond of a pumpkin-lentil soup I found online, though it’s been a while since I made it. The Argentine lentil stew sounds delicious as well. I’ll have to try it sometime. Thank you for sharing this information about soy products. I’ve been a vegetarian for three years now, and often people ask me if I eat a lot of soy. This is a funny question to me because I don’t eat any! Many people don’t know how much phytoestrogen they contain. I absolutely love lentils. I think they make a great substitute for recipes involving beef. My favorite way to eat them is in a taco salad. I’m looking forward to trying that stew recipe come Winter. Thank you! Lentils yeah I get on a kick of eating lots of these. Soup is what sometimes comes out of me leaving it in the crock pot too long.I really love the flavor in them. This polycystic os condition is interesting. I should have suggested what you are saying to a friend of mine, Her diet really was just not good anyway. A lot of boxed foods and processed meals. It has to contribute to the issue. She eats such fattening things too. Deep frying a lot. Which I think is ok once and awhile but not all the time. Getting back to the lentils they are really versatile in what you can do with them. I add them to soups and salads. Alone or as a side dish. Mostly I buy them dry in bulk and make them that way. I don’t really get something like this in a can. Love, love, love lentils. Such a great staple food, even if you’re not veggie. One of my favourite dishes is ham hock and lentil soup. Take a whole ham hack, a bag of lentils, cover with water (or chicken stock), throw in a few (root) vegetable. Cook slowly until the ham hock falls off the bone. Take the hock out, remove bones and skin, roughly chop meat and return to the pan. 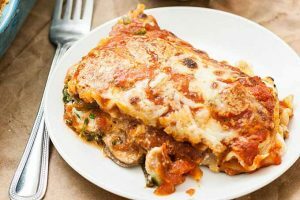 Absolutely delicious, a real winter comfort food. I usually do it in the slowcooker for convenience but it can be done in a Dutch oven or something as well. I am going to incorporate more lentils in my diet and less soy. I actually like lentils as there is so much you can do with them. I had no idea they were so nutritious. The health benefits for women are enormous. It is good to adjust your diet by adding to it to make it healthier. This will not only benefit me but my family as well! Great info. 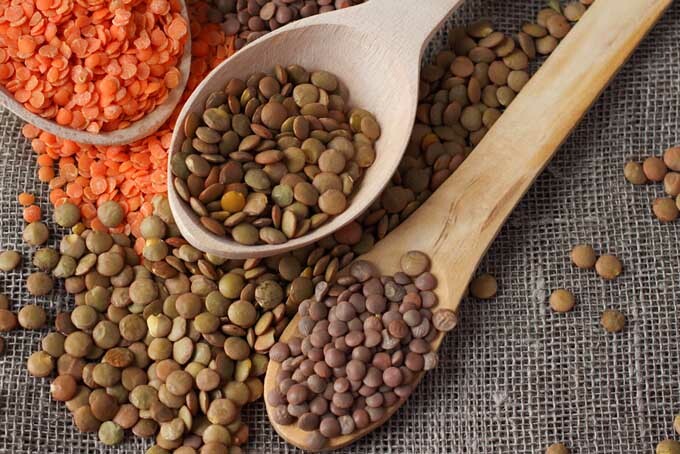 I enjoy lentils and they are great to add cheap protein, fiber, and variety to a diet low in animal products. I do believe, however the negative effects of soy are overstated most of the time. Soy is not the only food that has phytoestrogens, in fact many whole foods contain varying amounts of phytoestrogens. In countries where soy is eaten in high amounts, negative effects haven’t been proven. Variety, like the article stated, is important, in all foods. Everything is both good and bad for us, depending on the amounts we consume/are exposed to. thank you for the informative article. 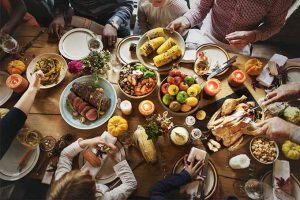 It is really important for men and women to become more aware of the hormones in their food, not only in the meat products but also in dairy and soy products like you mentioned. So many of the infertility causes and diseases are affected (and even caused) by the messed up hormonal effects of today’s food products! My husband and I are now super diligent about researching products and finding sources of protein and vegetables that will have less disastrous effects on our hormone balances. Actually a lot has come out about the harmful effects of soy in recent years. Maybe the benefits should be downplayed a bit as they have clearly been over hyped. I think Lentils are a great option. I’ve always enjoyed lentils, but had no idea tha they’re considered an alternative to soy, even though it seems obvious now. 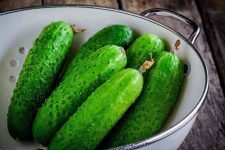 They are really tasty and healthy – they have plenty of iron, fiber and proteins. Lentils are a great, affordable staple to have in your kitchen pantry. 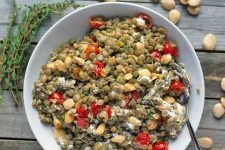 I love adding cooked lentils to my soups and salads because they’re delicious, but the added protein is a plus too! Hurrah for lentils! I love them. They are so cheap and, as you say, so easy to flavour as they cook, they deserve to be part of any healthy diet, so well done you for promoting their use. I use more red lentils than green ones and often cook up a batch and freeze some. One of my favourite uses is in patties or nut roasts, mixed with nuts (obviously!) breadcrumbs, sunflower seeds, chopped fried onions, peanut butter and herbs, especially thyme. I’ve been cooking a lot of vegetarian meals recently and lentils have become a new favourite for sure. 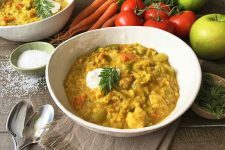 I’ve only cooked with red lentils before and you’ve solved a bit of a mystery for me…I couldn’t figure why they cooked down so soft and lost their shape, I had no idea it varied depending on the colour! I’m definitely going to give the green and brown ones a try instead and see how they turn out. Lentils top my list of favorite legumes, followed by black beans, then white beans. I’m looking forward to making it this weekend while the blizzard rages. Lately, I’ve been adding a hint of smoky spark to my legume soups with chipotle powder, and maybe some cumin and for a surprise, a bit of ground nutmeg. Lentils are one of the greatest foods known to man. They are cheap, versatile and healthy! I am really happy they are starting to get the credit they deserve ion North America. Fun fact, Canada produces 80% of the lentils in the world! Thank you for posting this educational article. Many women know nothing of the dangers of too much soy as it is in nearly everything we eat and is promoted as perfectly healthy. Lentils are delicious! They can be flavored pretty much any way possible and they are very filling! Thank you so much! Your article is exactly what I was looking for! I knew I avoided that stuff for a reason but when people ask I always forget the word and what exactly it causes problems with! Now I have the words phytoestrogens and estrogen hormones wrote down in my notepad on my phone! I love that the brown varieties are so cheap! 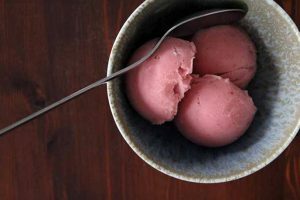 My husband and kids are picky eaters though and new things tend to turn them off. 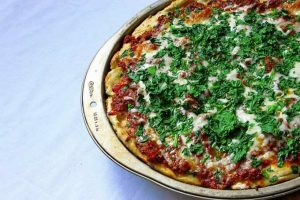 What would be a good starter recipe that might not look so strange to them? Lentils are a staple in my kitchen. I use them in soups, curries, nut and/or mushroom roasts. I prefer the red lentils but I also use locally grown brown lentils called (in French) Lentillons de Champagne – lentils of Champagne. 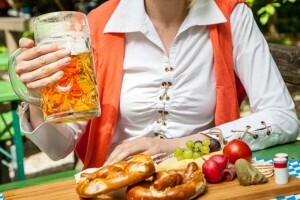 It’s the region that’s referred to – not the drink! They have a specific flavour being grown in the same lime-rich chalk soil in which the grapes that go to make champagne are grown. I am so amazed by these little powerhouse legumes. They are so versatile, so healthy, and so very cheap! 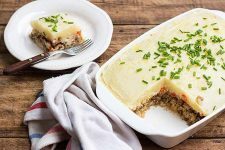 We get some lovely ‘Black’ lentils here in South Africa, and they pack an enormous amount of fiber, even more than the brown variety, and retain their texture very well. This is good, because I have a knack for leaving pots on the stove too long and creating unintentional mush! Thanks for promoting this super healthy and underrated food.